After the Photo Patagonia festival, some of us traveled almost to the Chilean border, to breathe some clean air. A few photos from Photo Patagonia, in Argentina last Semptember. I was fortunate to be invited to show my Cronopios series at the third Photo Patagonia festival, in Argentina. in which Don’t Take Pictures writes up my self-fabricated machine. a few photos from the opening of my solargraphs show at Whittemore CCC. a few photos from the opening of "Cronopios" on January 24, 2018. 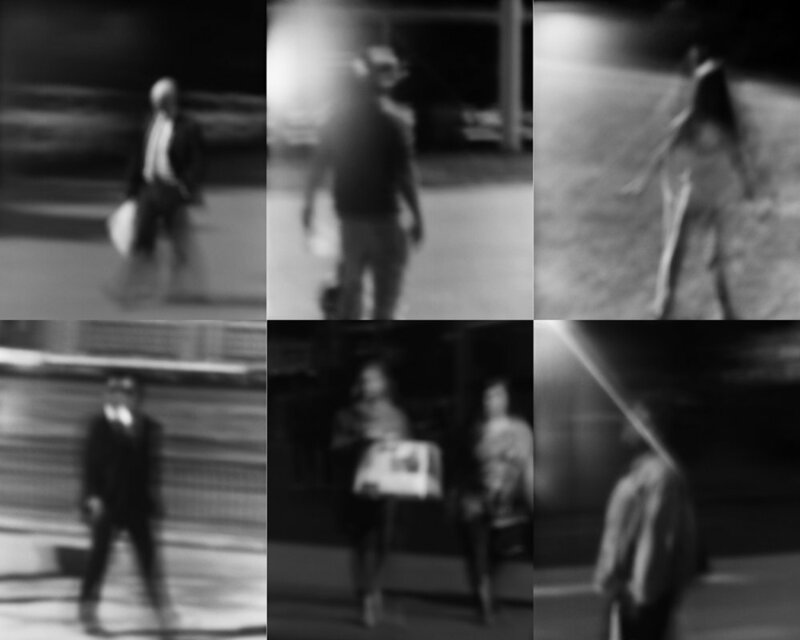 New work - "Cronopios" - gestural photographs of people on the move. In which we made very large cameras and developed the photographs with coffee. Just in time for WPPD, my photos are on exhibit in San Francisco. Some photos from the opening in Oaxaca on April 29, 2017. New work - "Street Life" - images from demonstrations & rallies. My "Street Life" series is on view this week at the second Photo Patagonia festival in Argentina. I was happy to be invited to do a workshop at Tyler School of Art in Philadelphia on wet plate collodion. It was a full day making tintypes, mostly in the studio there. Afterwards, the school sent me this composite of many of the plates the students made. Great fun, and blackened fingers. Two of my solargraph images are included in a new exhibition in Argentina. The pinhole photo resource f/D ran a piece on the Hunterdon Solargraphs. Several of my solargraphs will be included in a group show at the OFF//FOTO festival in Germany this fall.